Welcome to the R.T. Wolfe web page. #2 in Detective & #11 in Mystery! ON SALE NOW FOR .99¢! Click HERE for purchase links. Lending her expertise to help the FBI bring down a child trafficking ring, Detective Nickie Savage discovers that the men they’re tracking are the same ones who abducted her as a young teen. Now Nickie must choose: break her own rules and risk her heart, or forge ahead…alone. Enjoy a story of trust, arson, passion, and murder set in scenic upstate New York. As opposite as they are, Detective Nickie Savage and Hollywood artist Duncan Reed have not only found the thing they want most is each other, but have discovered they make an unstoppable team. ***Detective Savage is a fictional victim of child trafficking, but there are children right now that are inches away from being saved. Child Rescue is putting together another jump team to take this highly dangerous journey to save a group of children in Latin America. Click Child Rescue to watch a video from Child Rescue’s own Jamie Larsen. 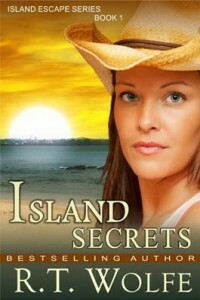 A fun, loving tale of island life, love, family, hidden treasure and murder. I am inexplicably hooked! Can hardly wait 16 days!! 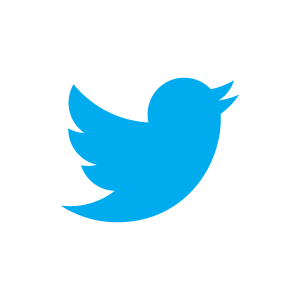 I so enjoy your writing and your inclusion of the plights of birds who desperately need help. Trying to find Savage Deception as mentioned in Nook book Dark Vengeance. Not listed with Barnes and Noble, nor on ebookdiscovery. com/RTWolfe. What gives. Enjoyed the first three Burning Creek series very much. Ron: Savage Deception will be out sometime late winter/spring. I don’t have a date yet. If you are interested, you can sign up for my monthly newsletter and you’ll get an email when I have a date and again when it is released. The sign up is on the Home Page of my site. I’m glad you enjoyed the first three. -R.T. I want to know when Savage Deceptions comes out. I’m hooked on your books. Thanks and keep writing. You’re so very welcome, Susan. More to come..
I’ve read the entire Black Creek series (loved them & have them on my Kindle) and today I finished Savage Echoes and Savage Deception. I stayed up reading last night until I fell asleep. This morning the Kindle was still on the floor waiting for me to finish the book. Gwen: Oh no! You’re right. I’ll try and fix it. And I’ll add you to my newsletter list. Eek! -R.T.
R.T,, I’m always amazed when I discover I’ve been unaware of an author as talented as you appear to be. It makes me feel like I’ve been hoodwinked and someone purposely kept the info from me, lol. I know this isn’t true but I’m shocked your books dont have more hype: you’ve gotten some great reviews on Amazon and your storylines seem very tight, extremely exciting and character driven. I’m so glad I discovered your book tour while scrolling through my Bloglovin’ feed~ I don’t know what I did before I discovered that genious piece of networking~ and I’ve put all your books on my Amazon wishlist. As they are published in paperback, I’ve also put them on my wishlists on my book swap sites. I’ll continue to follow your tour for Savage Deception because I’m extremely interested to read what others think of it. I hope you garner a slew of new fans… and you can start the counting with me! Thank you, Elise-Maria. You made my day! -R.T.
by Lori Foster But I can change any minute.. Great looking book.. Thanks for the giveaway and best to you on your books! Elizabeth: Thank you and you’re most welcome. 🙂 -R.T. I plan to check into your books out as soon as I possibly can. I love to read and yours caught my eye on Facebook. I like what I I saw on the covers and what they are about. Dear Michelle: Thank you for message. I hope you enjoy the series. -R.T.
Would love to get advance ebook and give review. Wow what an honor that would be. Rosalie: Thank you for making my day. -R.T.
What a great book!!! I couldn’t put it down. It kept me guessing with every turn of the page. With each of the books in this series it keeps getting more intense. I can’t wait for the next book!!! This book deserves 5 stars. Are their going to be anymore books in the island escape seris. I loved your Nickie Savage series ! I liked having you write in the story line of human trafficking and how relative it is to todays world . 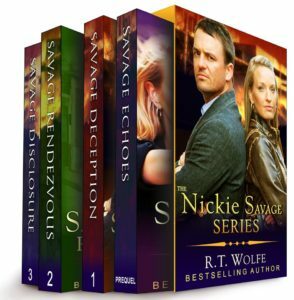 I wanted to leave a customer review on the Barnes an Noble nook site , but it will not let me leave a review on your boxed set Savage series , it will however work on the books individually . I’ve tried several times and many days but no go. Thanks again for such great writing! Thayer: How very thoughtful of you to let me know. Thank you for the effort. I am thrilled that you enjoyed the series. -R.T.
Hi just a quick email to let you know that I have just finished your book 1 Savage Deception. Karen: I should have a release date soon. I will send out a newsletter when I do. Thank you for checking in. -R.T.